Brought to Spain in the thirteenth century by Islamic artisans, the enameled earthenware known as mayólica is decorated with a lead glaze to which tin oxide is added to create an opaque white surface. By the fifteenth century, several areas in Spain were well known throughout Europe for the quality of these ceramics, and with Spain's expansion into the New World the mayólica tradition came into Mexico. There it underwent further changes, notably the use of indigenous design motifs and patterns inspired by Chinese porcelain. Over the next three centuries, the potters of New Spain produced ceramics characterized by a distinctive mestizo aesthetic. This tradition continues today in both Mexico and Spain. 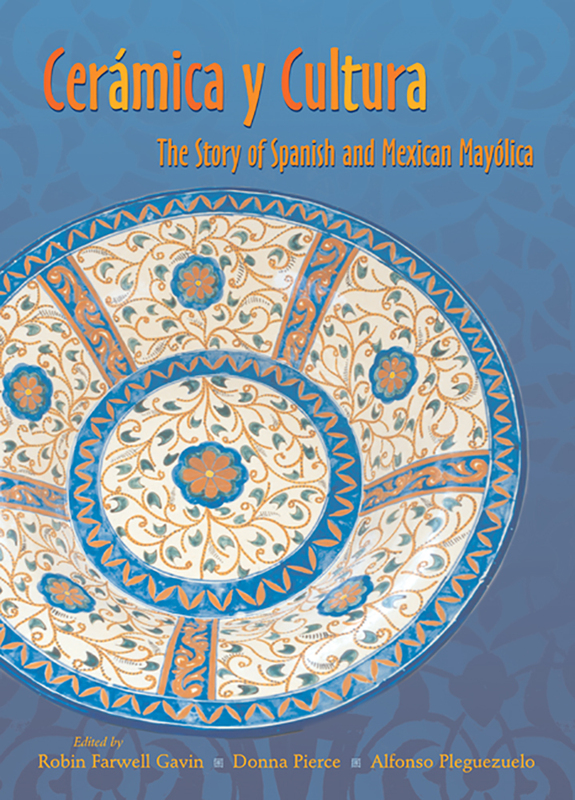 Assembled in connection with a major exhibition at the Museum of International Folk Art in Santa Fe, this book moves discussion of mayólica beyond its stylistic merits in order to understand it in historic and cultural context. The contributors, specialists in art and art history, architecture, anthropology, archaeology, and the folk arts, place the ceramics in history and daily life, illustrating their place in trade and economics. Examining both historic and contemporary examples, they also take us into the potters' workshops. Robin Farwell Gavin is curator of Spanish Colonial collections at the Museum of International Folk Art in Santa Fe. Donna Pierce is curator of Spanish Colonial Art in the New World Department of the Denver Art Museum. Alfonzo Pleguezuelo is professor of art history at the University of Seville.